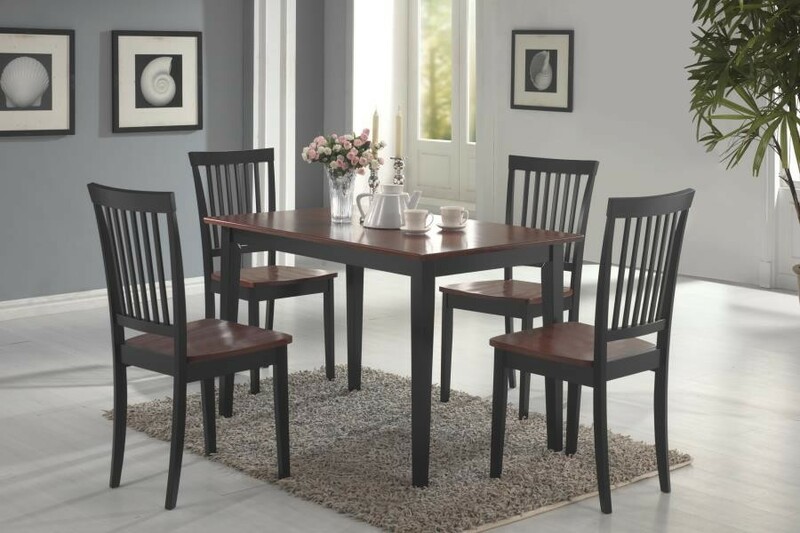 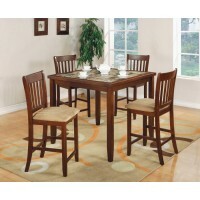 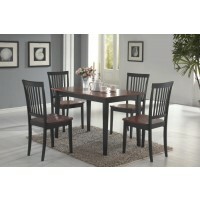 THIS SET FEATURES A RECTANGULAR TABLE WITH STRAIGHT EDGES AND SLEEK SQUARE TAPERED LEGS. 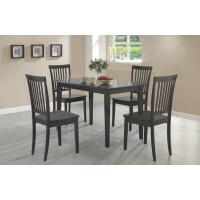 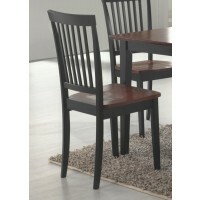 SIDE CHAIRS FEATURE VERTICAL SLAT BLACKS, CONTOURED WOODEN SEATS FOR COMFORT AND SQUARE TAPERED LEGS BELOW. 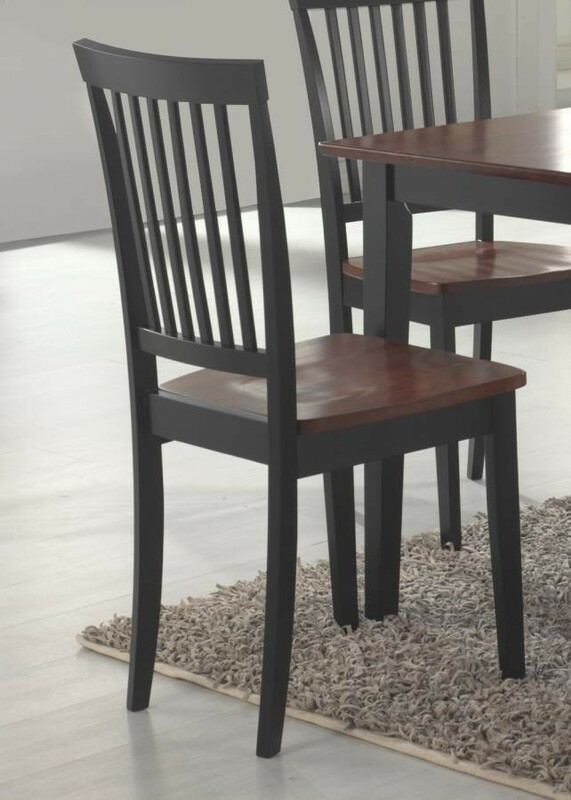 FINISHED IN TOBACCO AND BLACK.